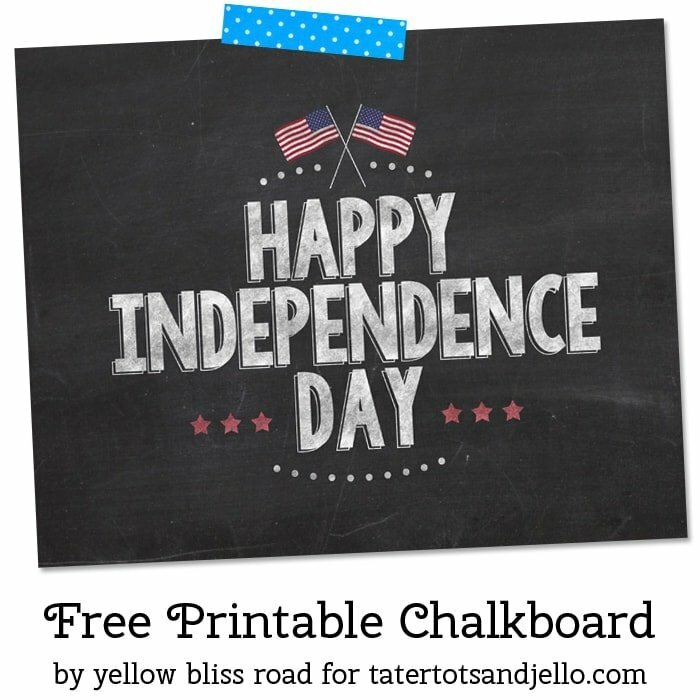 I love the Fourth of July and thought you might too, so I put together some free printable chalkboards to help you celebrate! I’m having a very hard time accepting that my children will be out of school in a few weeks and summer is so close we can practically taste it. You too? I mean seriously, before we know it, it will be July and the 4th of July holiday! 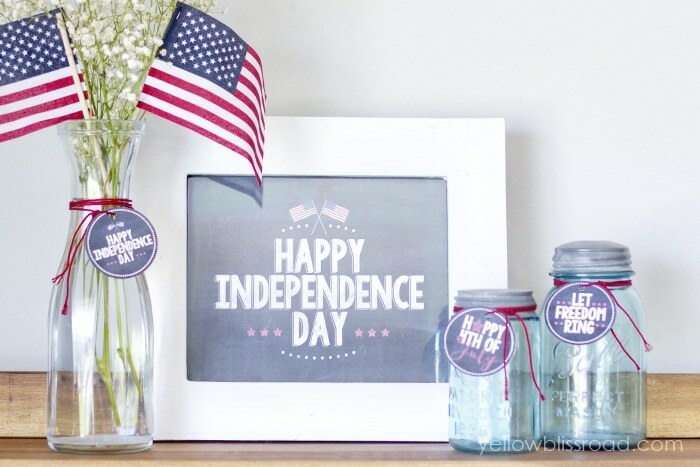 Good news is, I’m getting prepared early because I’ve created some pretty chalkboard printables to help you get a jumpstart on your Independence Day decorating! The chalkboard sign can be found exclusively at Tatertots & Jello today! The rest of the set, the chalkboard tags, can be downloaded at the end of this post. 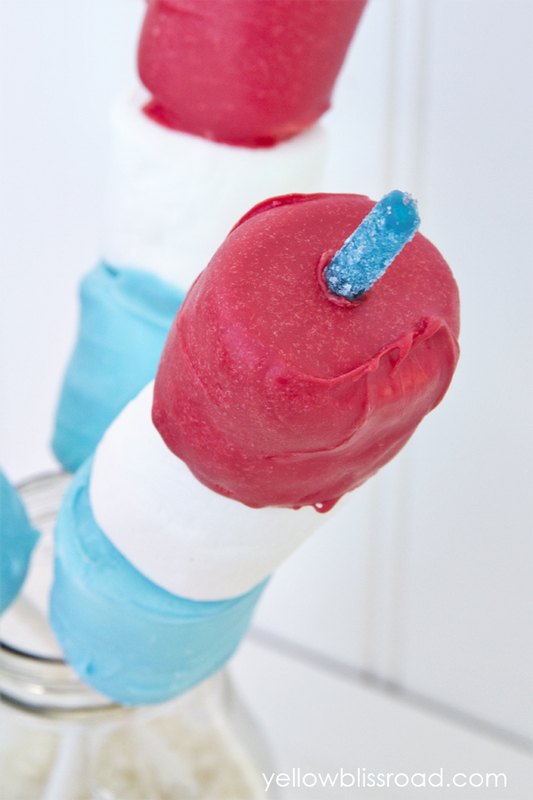 They are quite versatile and perfect for adding a patriotic touch to glasses, vases, or even as cupcake toppers. There are three tags available and each is 2 1/2″. 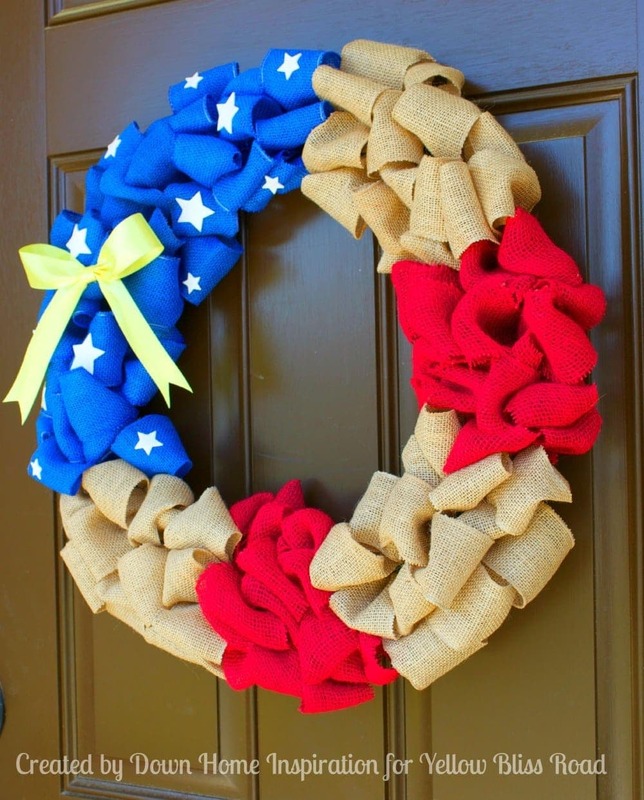 Cut them out with scissors or use a 2 1/2″ circle punch. Just be sure to download the whole set so you’re all ready for Fourth of July! For all summer projects and recipes, go here. Thank you so much for sharing these! 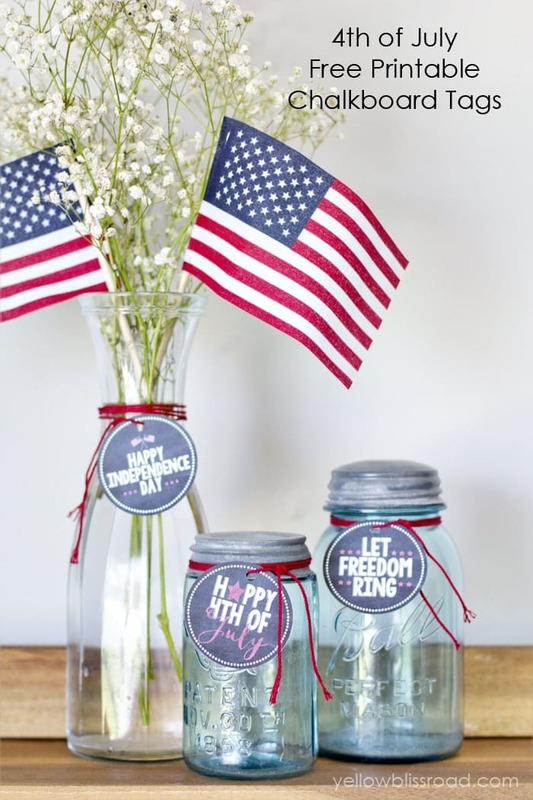 We’ll be on vacation for the 4th of July, so these will be perfect to bring along to add a bit of fun decor to our celebration!